Grand Reve Parys Golf Estate - Parys Accommodation. 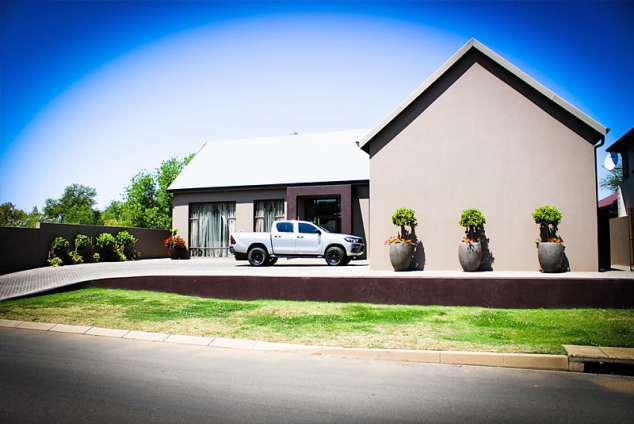 This lovely home is located next to the Vaal River, ideal for a break away. A golfer's dream with this lovely home that is situated on PARYS GOLF AND COUNTRY ESTATE. The home offers 3 bedrooms, 2 bathrooms, 1 guest toilet and 2 sleeper couches and can accommodate up to 10 people. Each bedroom has 2x ¾ Beds. the 2 bathrooms both have a bath and shower. There is a fully equipped kitchen, dining table and lounge. There is a swimming pool and a braai area on the premises and a double garage for extra security. The Lounge has a TV, DVD player and full DSTV. There is a tennis court, golf course, squash and restaurant on the premises. 2217 page views since 10 Oct, 2017.